It’s no secret that I am a big fan of Trader Joe’s – although I live in Astoria, and the nearest Trader Joe’s store is in Manhattan, I make a pilgrimage at least once a month to stock up on my favorite products. 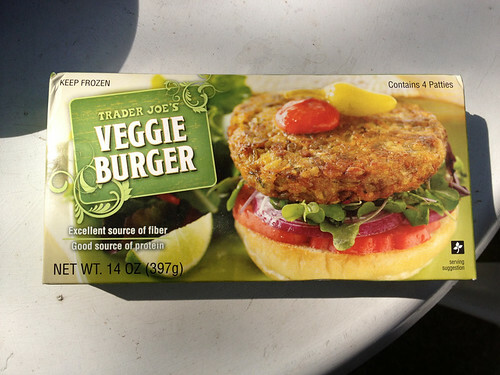 I’ve even reviewed two other veggie burgers from Trader Joe’s on my blog: here and here. So I picked up a box the last time I was shopping, and I had them in my freezer on a sunny afternoon when some friends came over for a barbecue (it is barbecue season now in NYC, and I am loving it!). 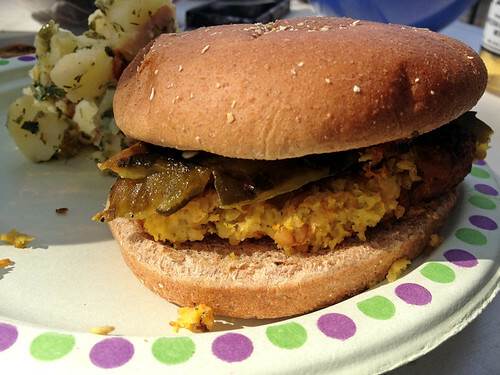 Grilling veggie burgers can be a tricky feat – some just do better on the grill than others. These ones, unfortunately, did not do so well – they are so soft that they fell apart before they were completely cooked. I’m lucky that I got two of them off the grill without them completely crumbling into the flames! They are not as dense as most veggie burgers I have eaten – although they contain eggs (not vegan! surprising for Trader Joe's, which has so many other good vegan options), which theoretically should hold the patty together, they were still very delicate and crumbly. The first ingredient listed is freekeh wheat, which might explain that. I served mine on a toasted bun with some grilled habanero peppers – yum! Although it was crumbly and a little challenging to eat, the flavor and texture of the patty were great. A couple days later, I fried one on the stovetop to see how that cooking method compared to grilling. The result: much better! The patty held together perfectly, although it was still soft and much less dense than the average veggie burger. 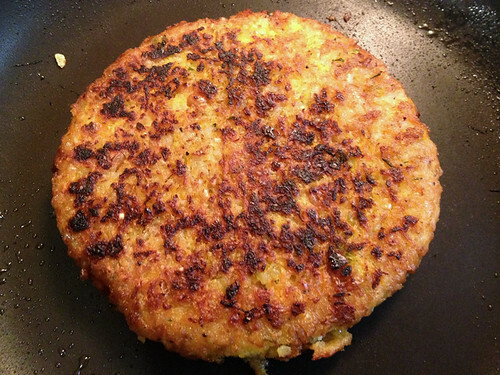 The lightness of it actually made it seem more like a homemade patty – if I hadn’t known better, if someone had served it to me at a restaurant, I probably never would have guessed it was a store-bought frozen patty. 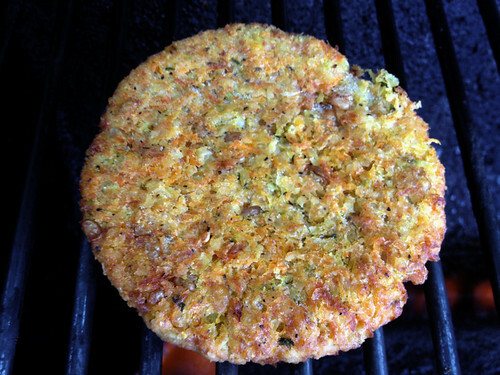 With lots of shredded carrots inside, it reminded me a bit of coleslaw – only a breaded, and crispy-on-the-outside! The flavor is light as well, not spicy at all. Frying it in just a little bit of olive oil browned the outside nicely. Surprisingly unique for a store-bought burger, I think these patties would make a great change of pace if you are bored of the more densely-packed bean or faux-meat-based patties. It’s not what you normally expect when you think “burger” and “barbecue”, but it would probably be great in a wrap, or on top of a salad! I love these! I haven't tried a lot of frozen veggie burgers, but I buy these a lot. It's always hard to buy something new and then be possibly disappointed.